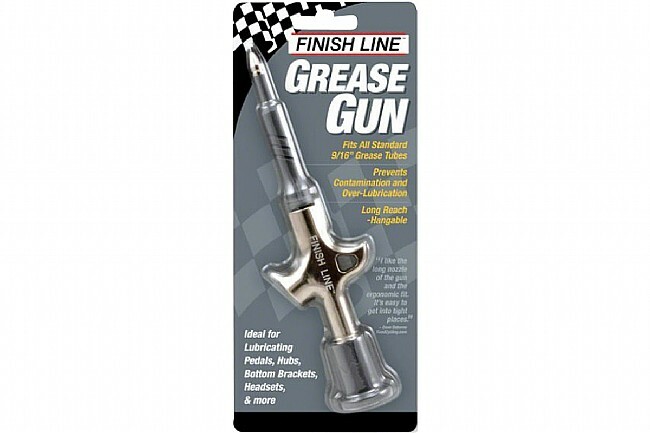 Lubricate your pedals, hubs, bottom brackets, headsets, crank bolts, and hard to reach components with Finish Line's Grease Gun. Its simple one-handed design makes it possible to apply measured amounts of grease exactly where it needs to go while preventing grease contamination. The long tip enables use on recessed suspension pivots and other hard to reach places. 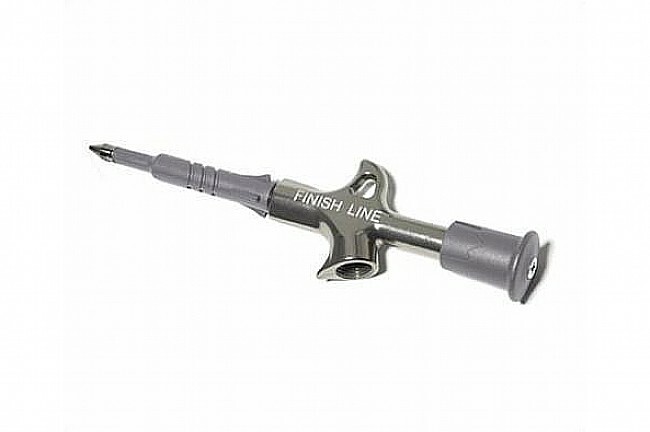 Compatible with Finish Line's 3.5oz Premium Grease tubes, 2oz Ceramic Grease tubes, and fits most other standard 9/16" threaded tubes of grease. I contacted the manufacturer and received no response.